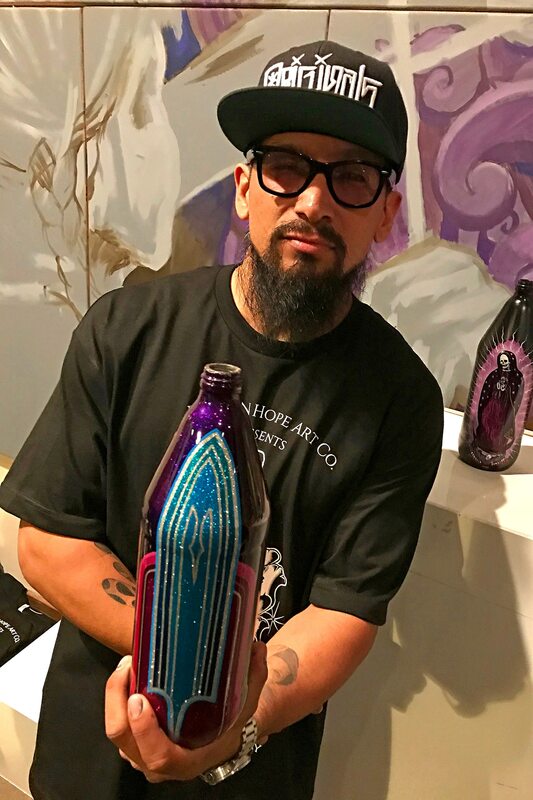 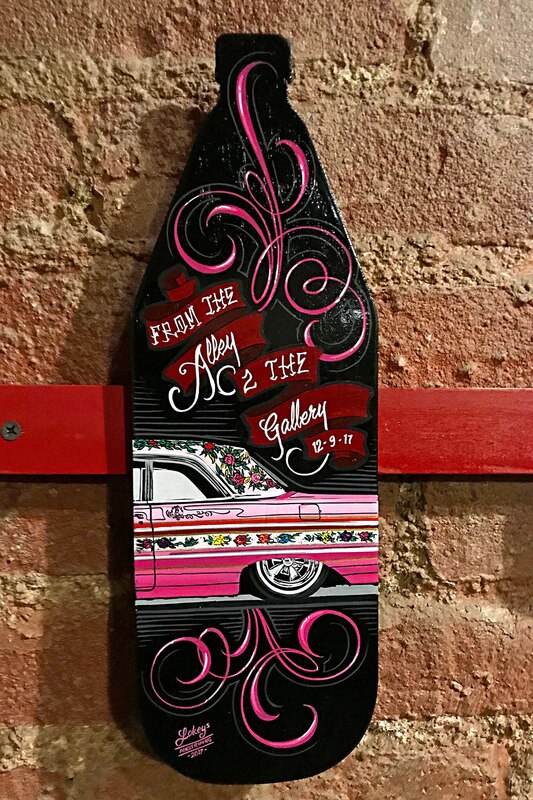 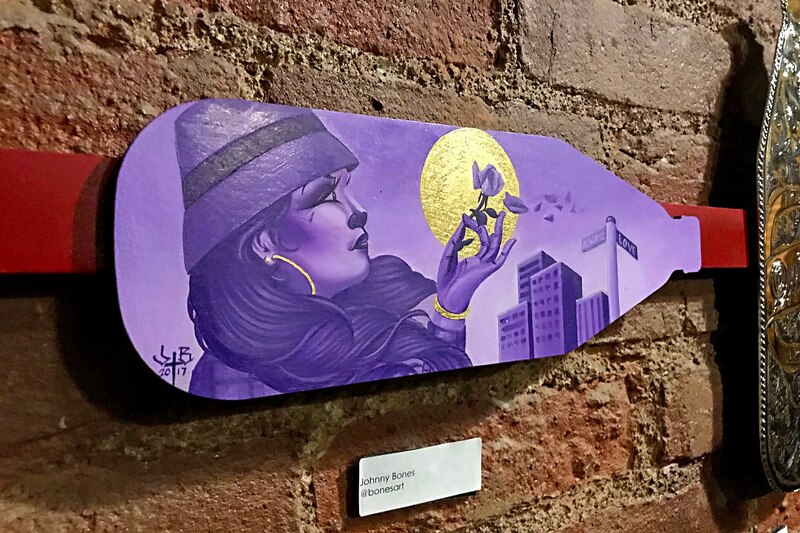 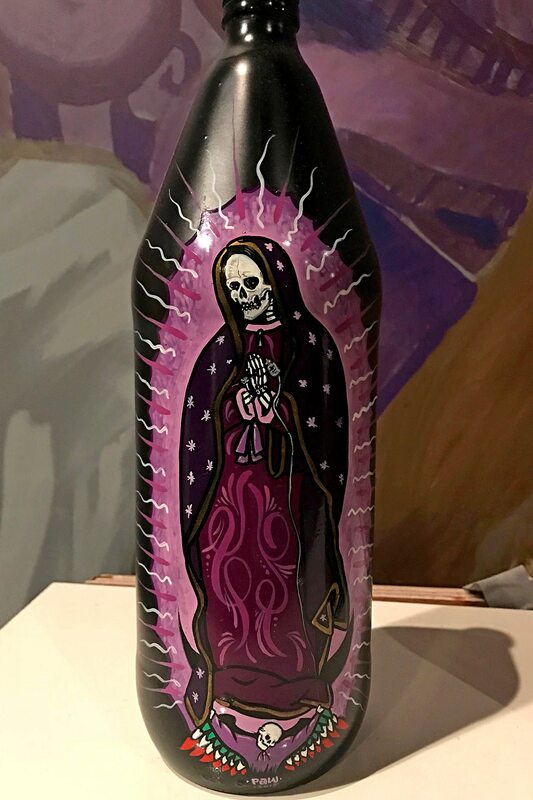 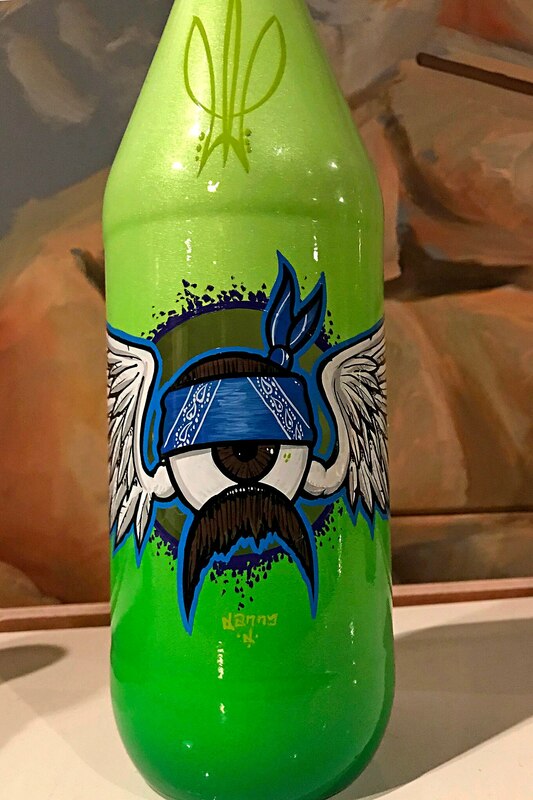 Paw of Paint N’ Hope Art Co. curated this weekend “From the Alley to the Gallery” art show and was hosted by Dee of DX Collective. 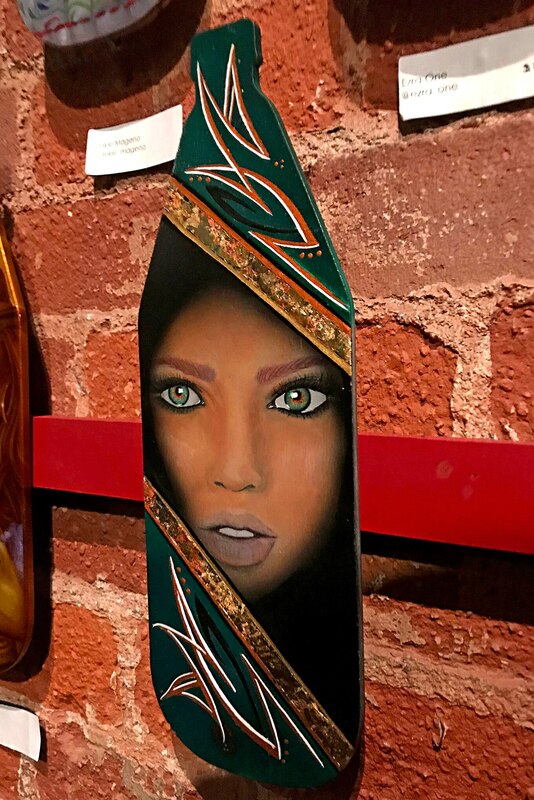 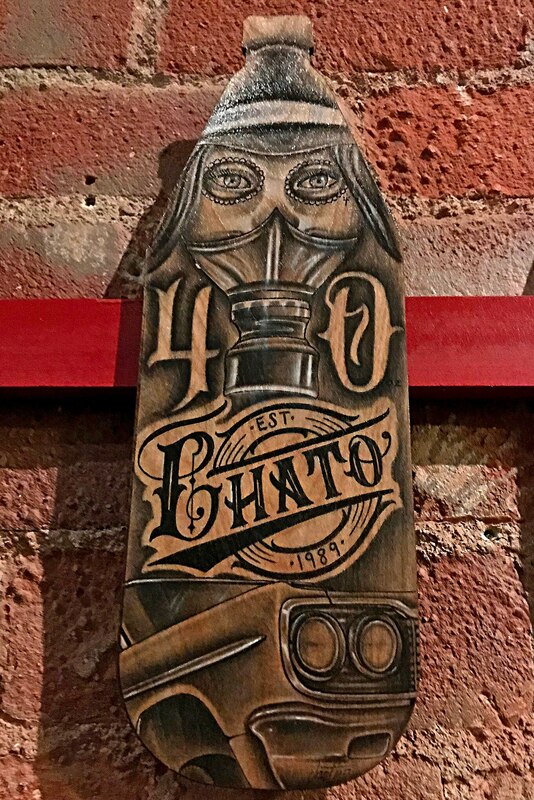 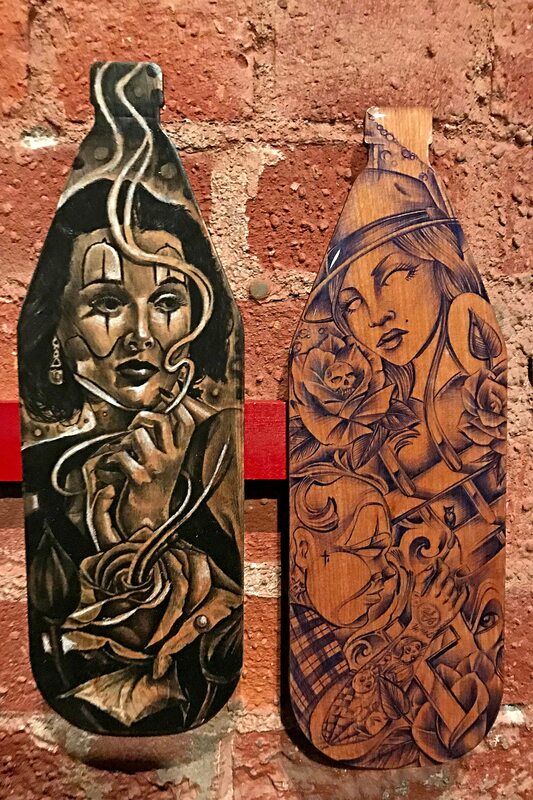 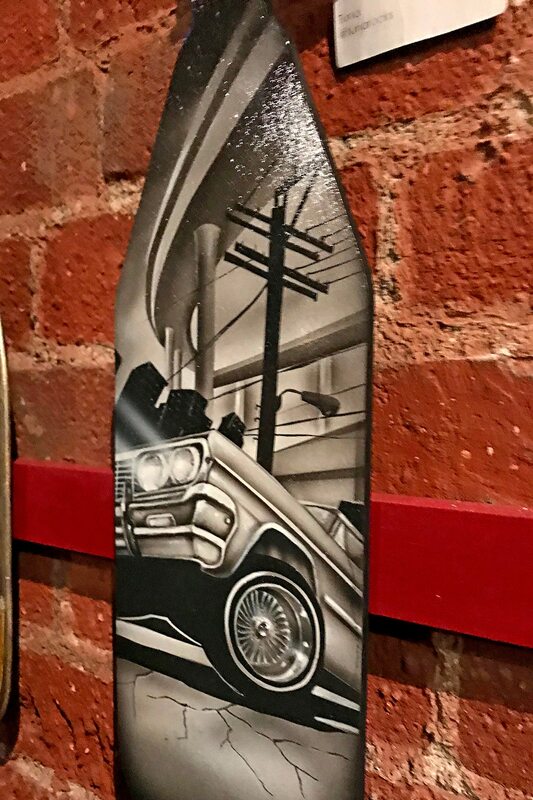 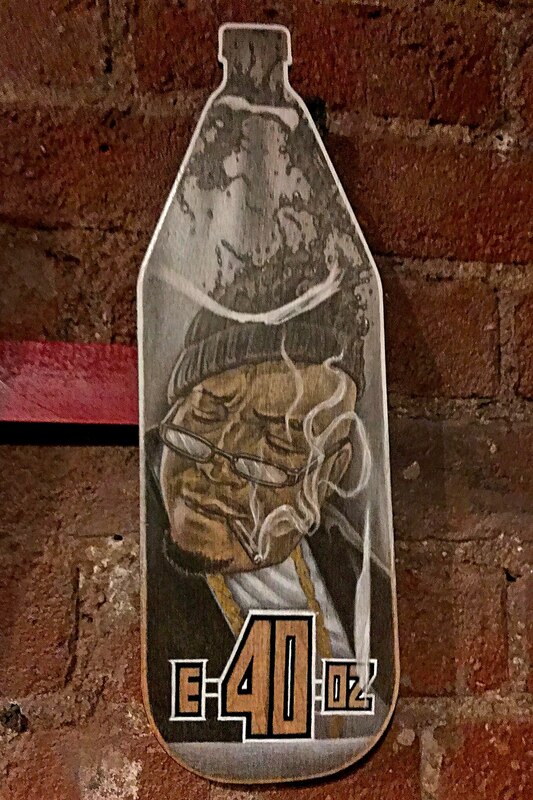 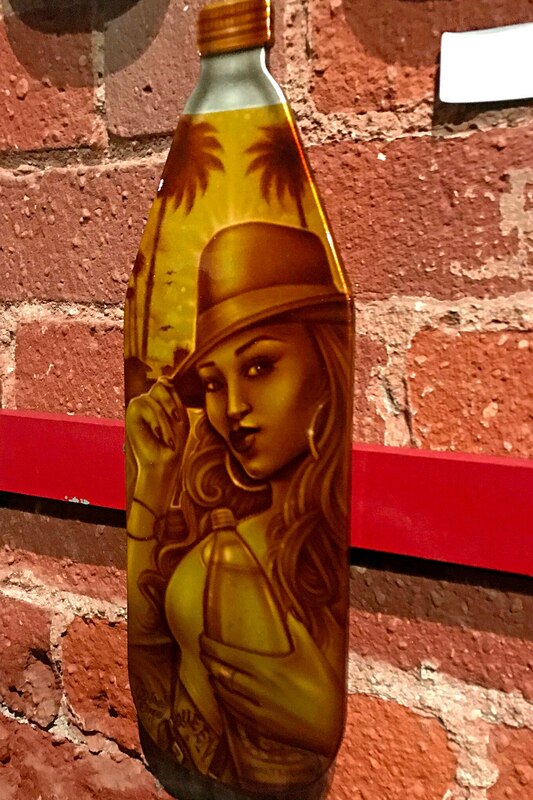 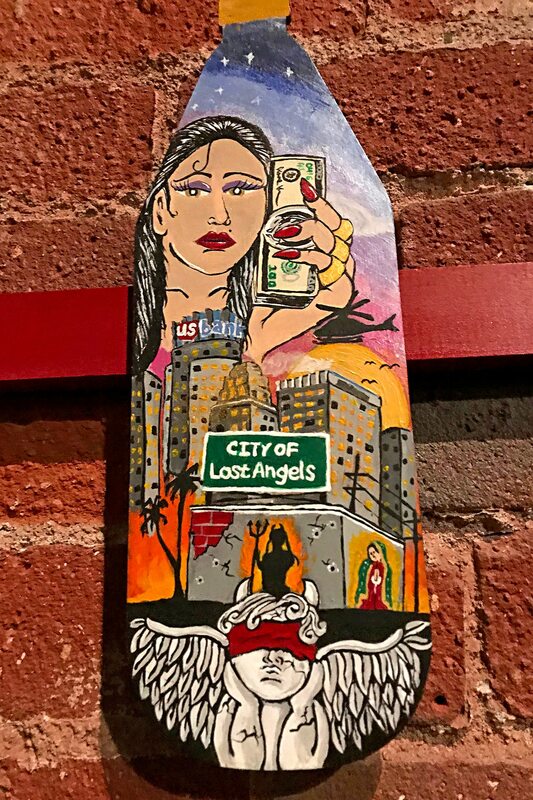 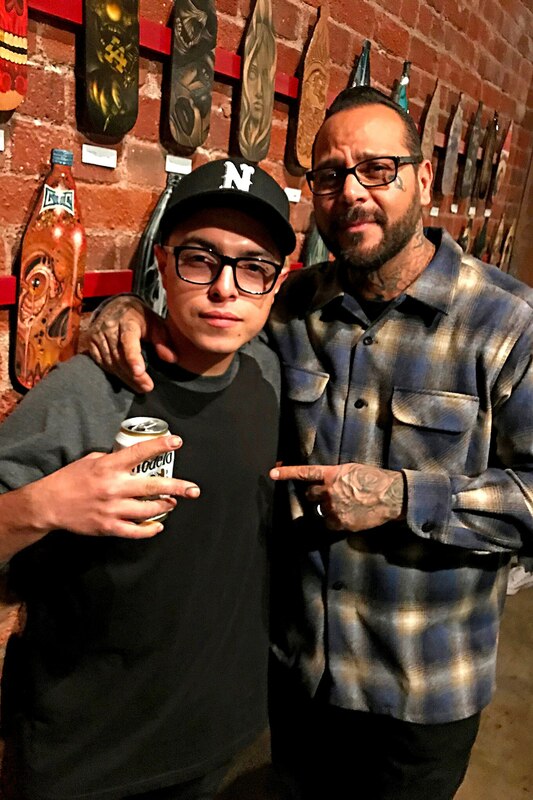 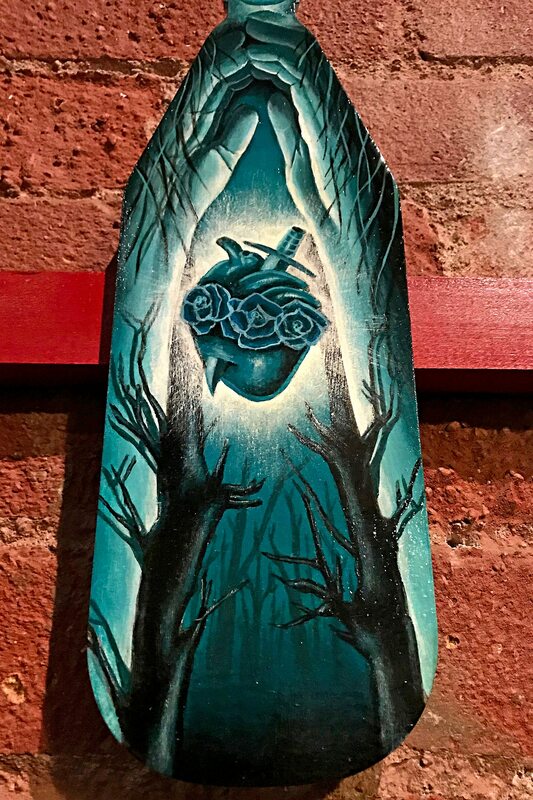 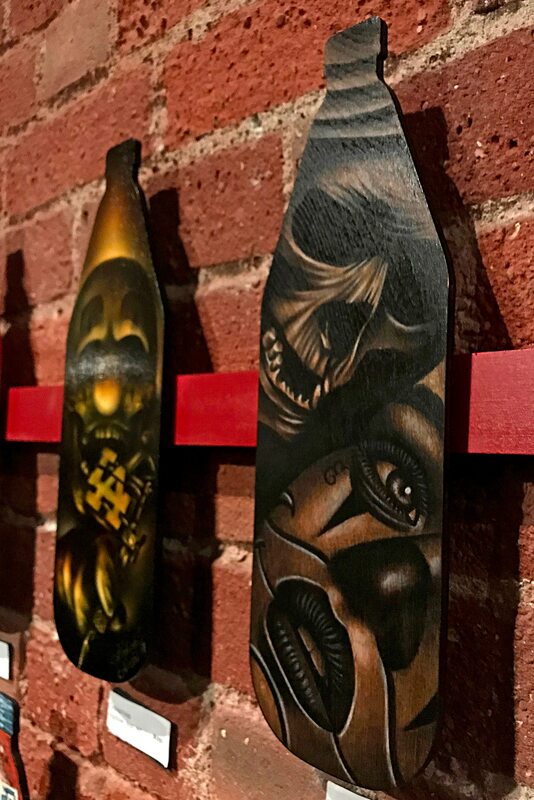 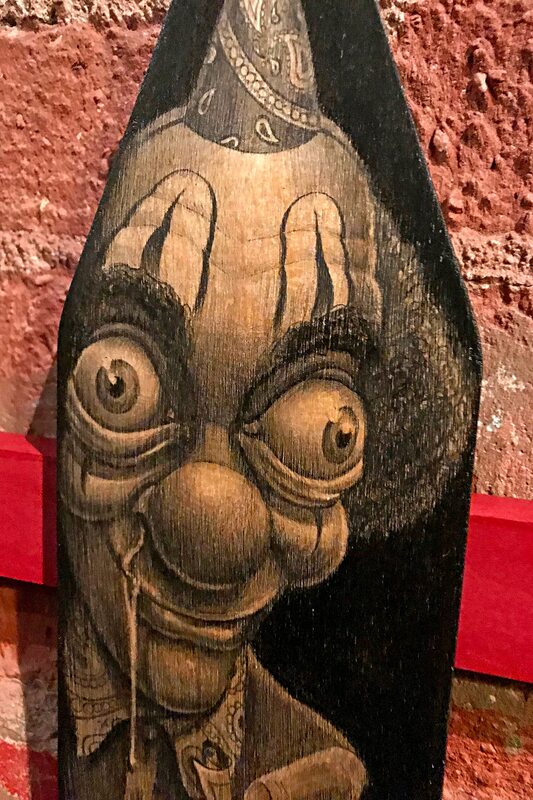 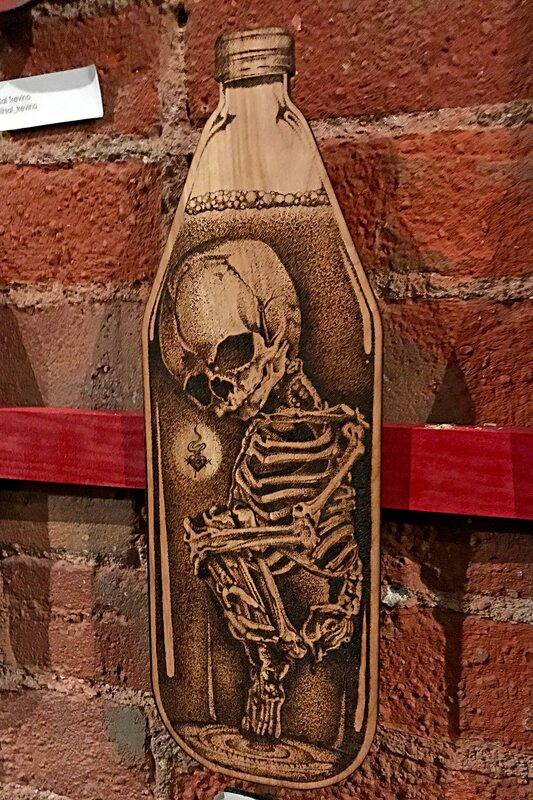 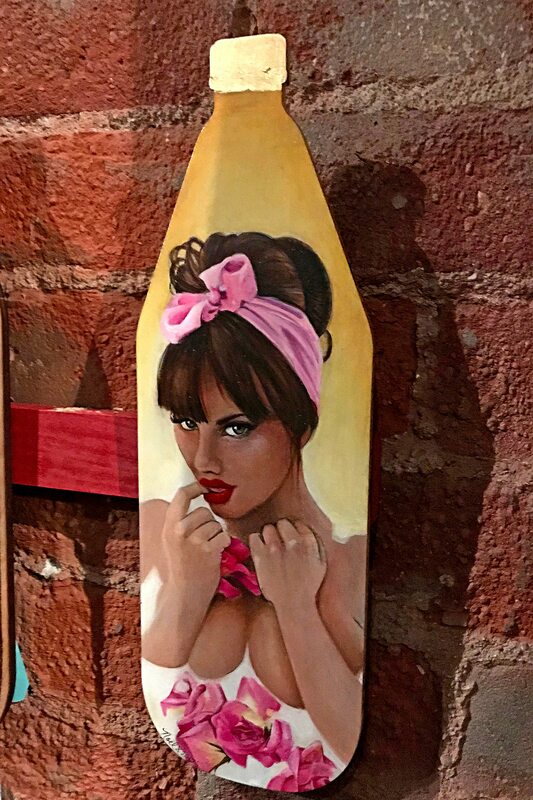 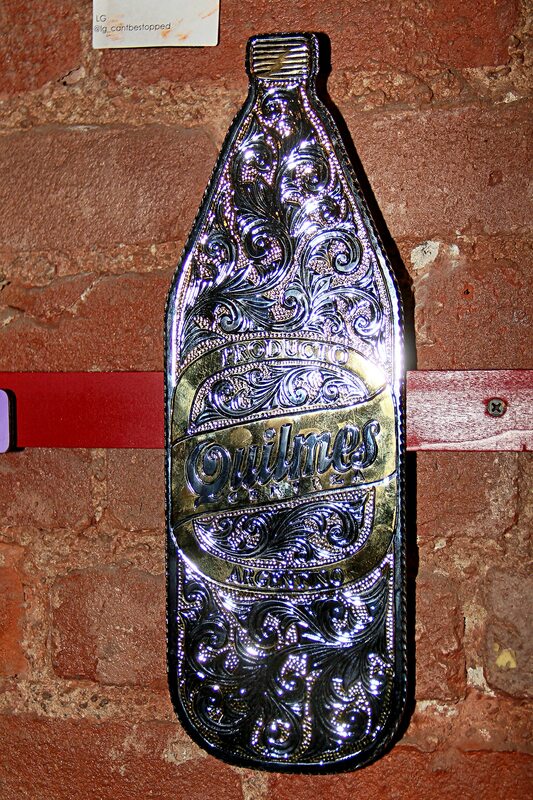 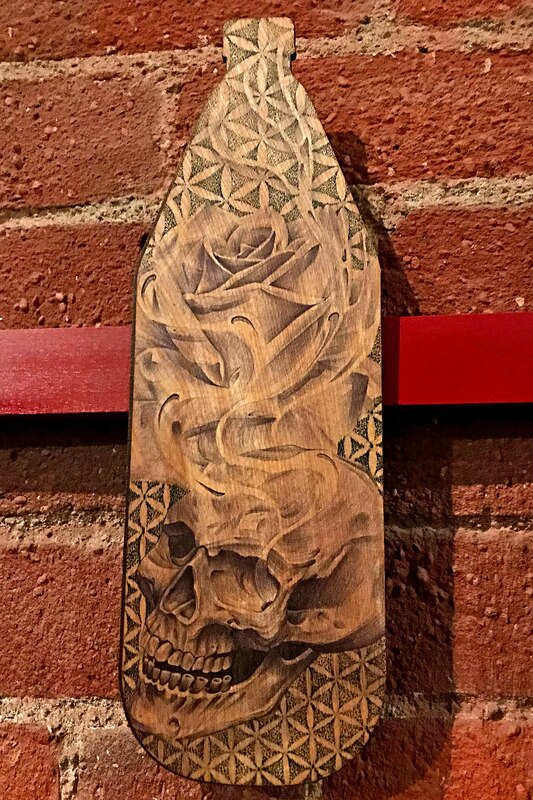 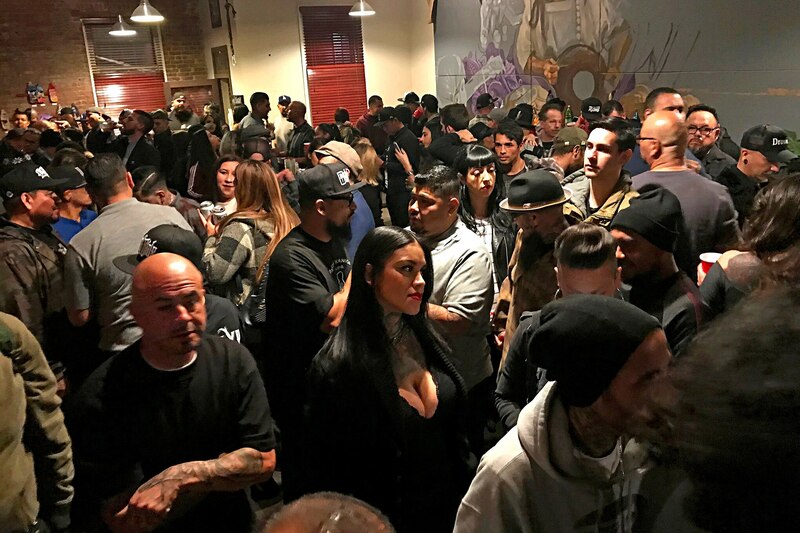 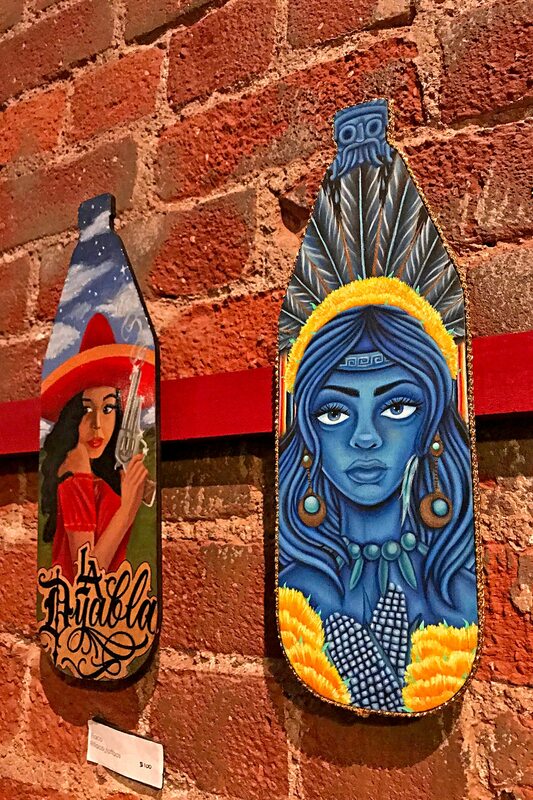 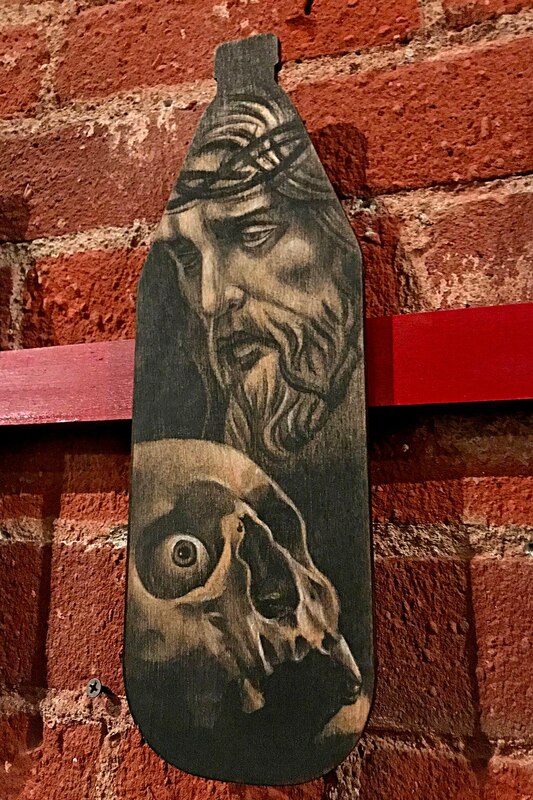 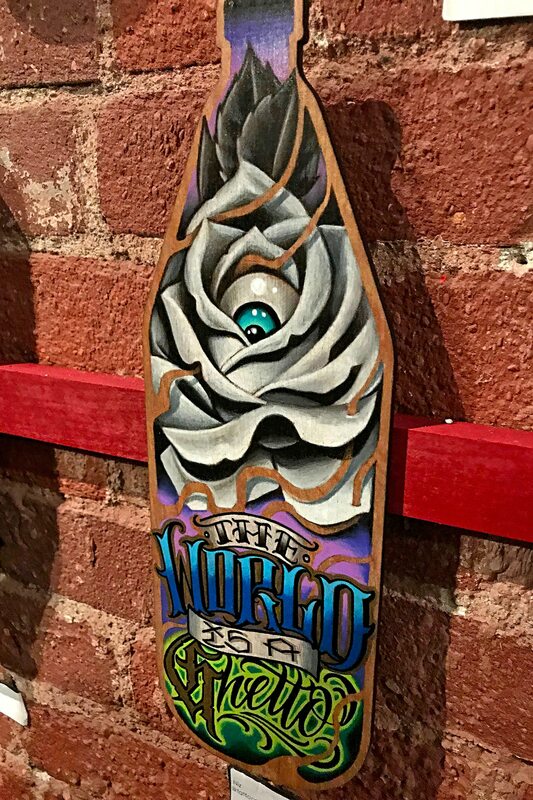 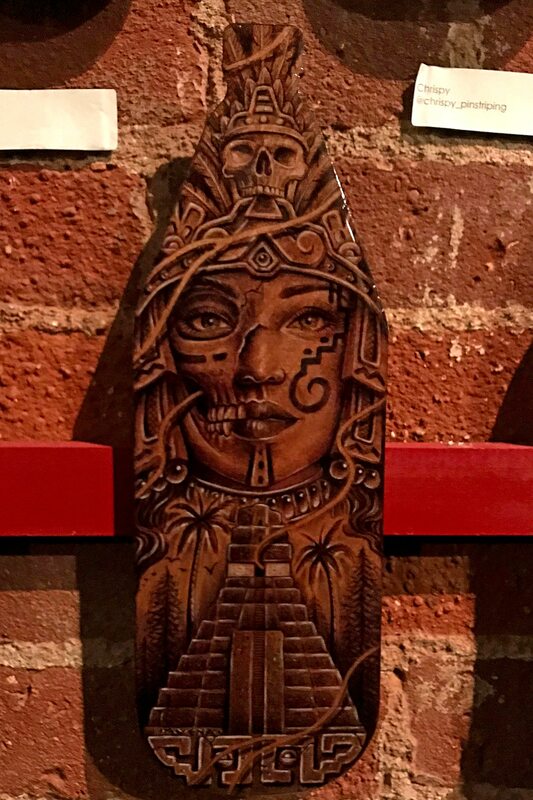 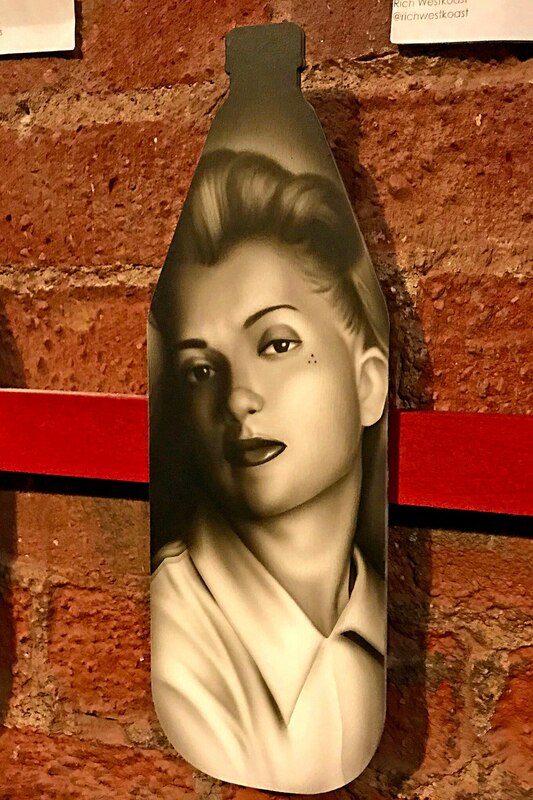 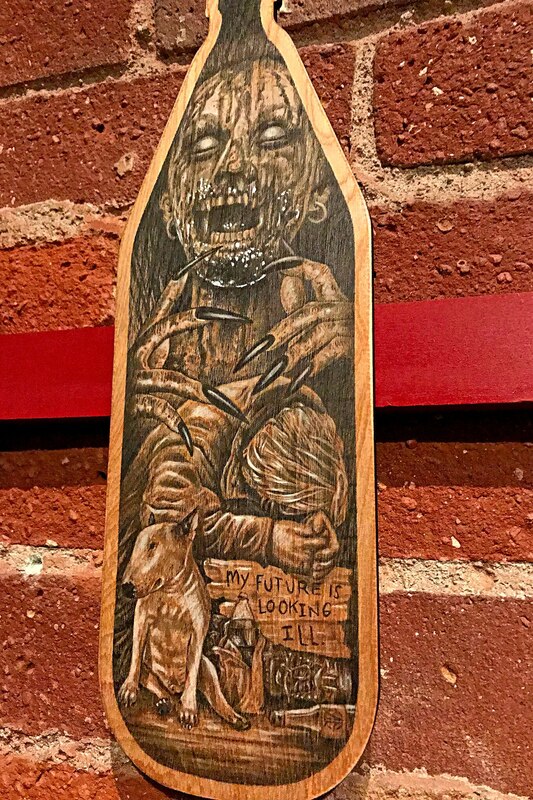 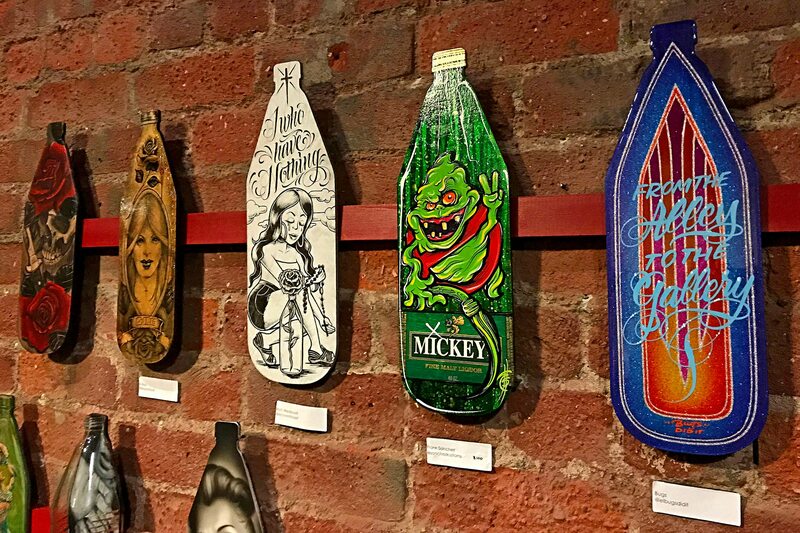 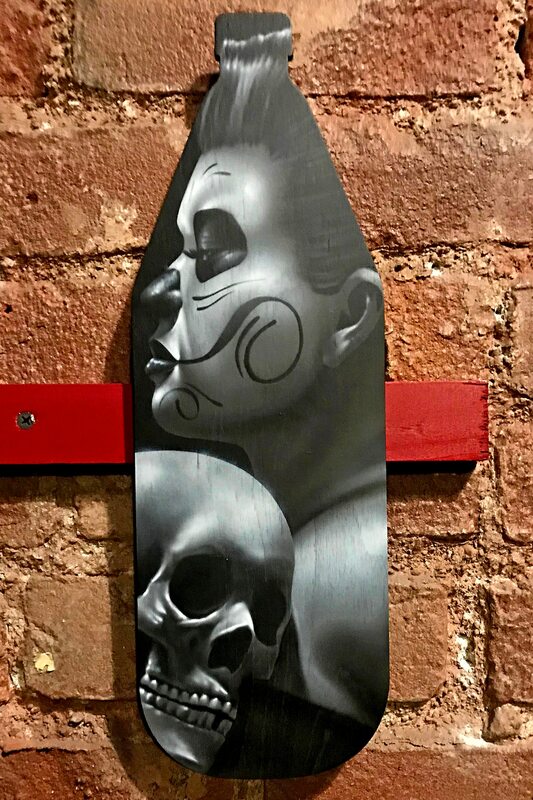 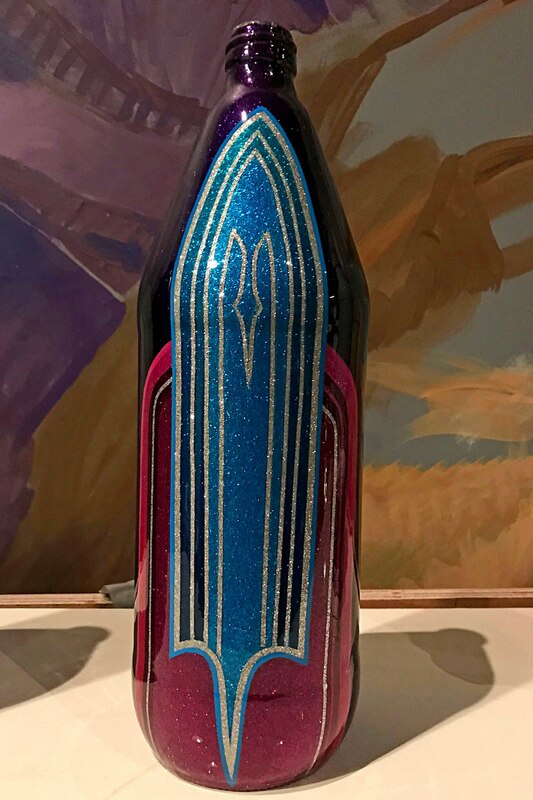 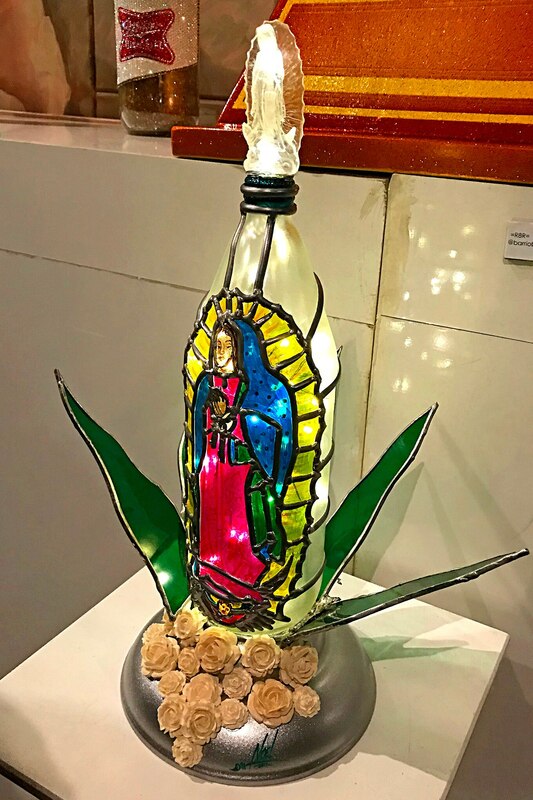 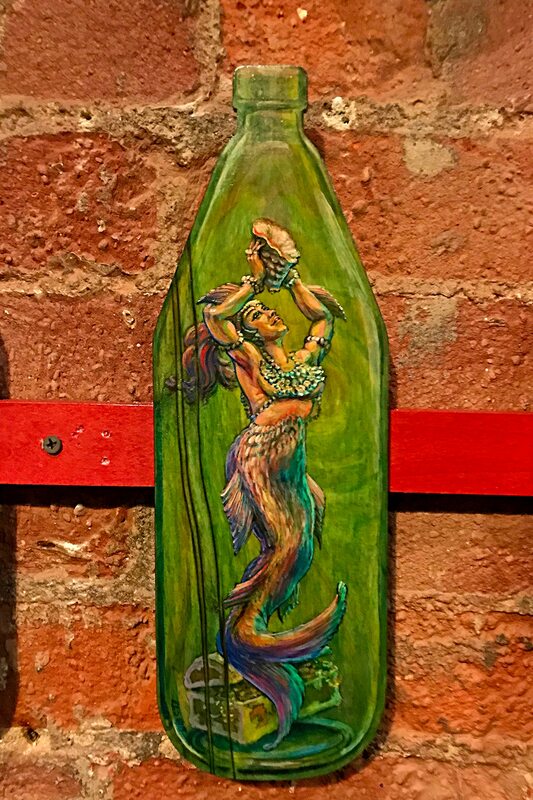 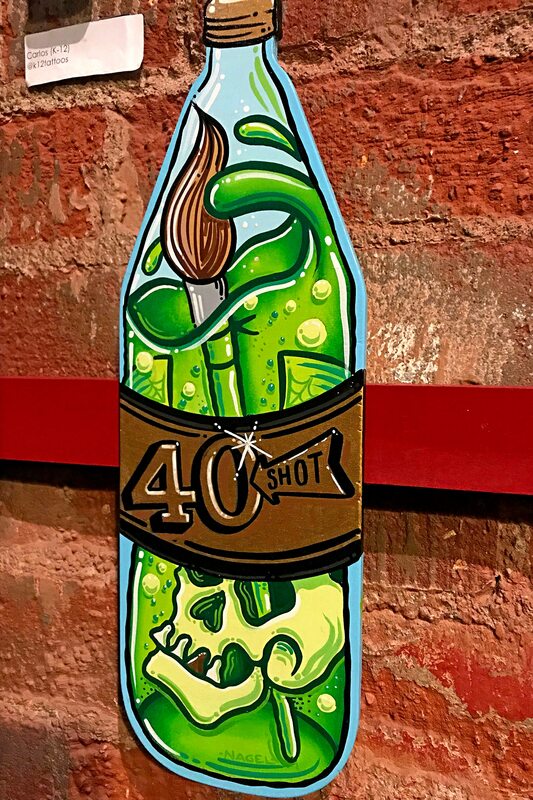 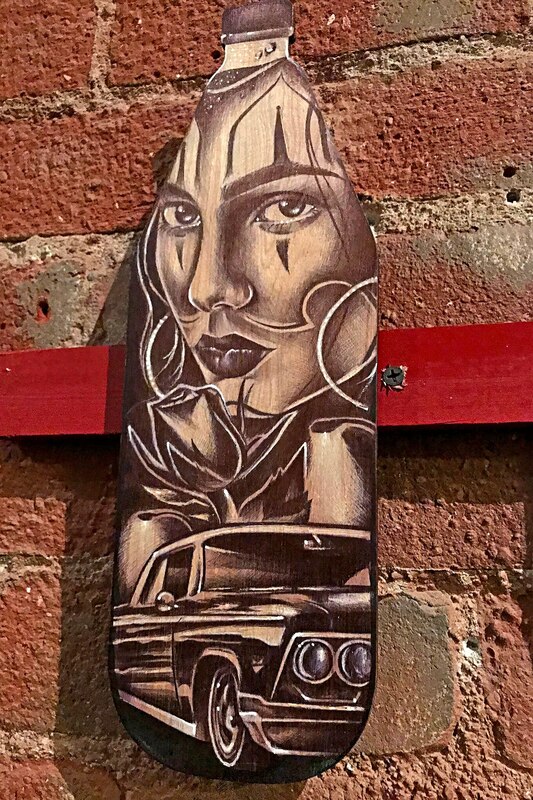 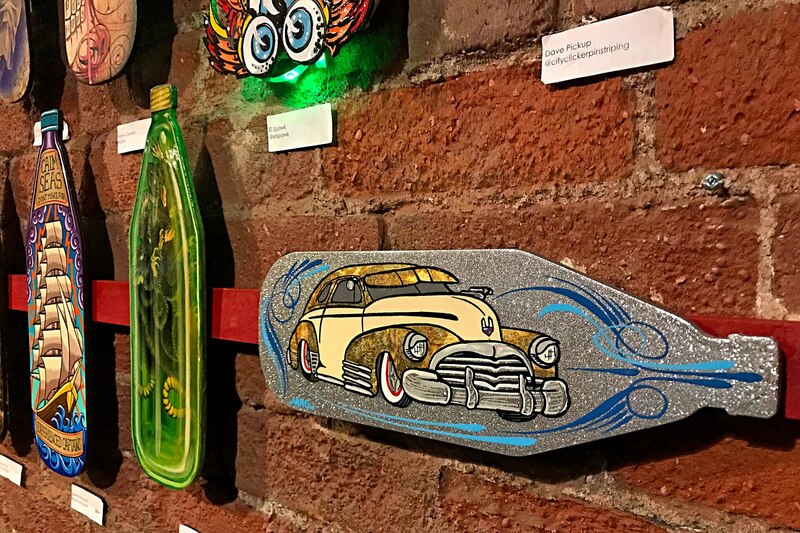 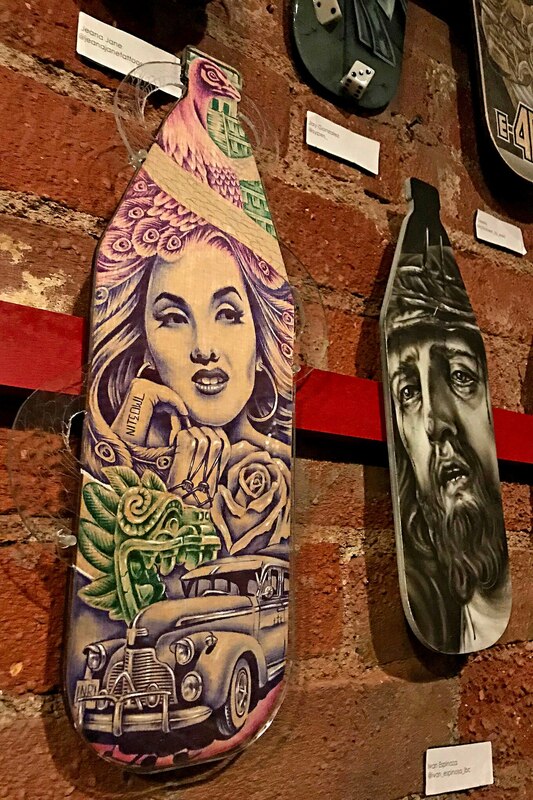 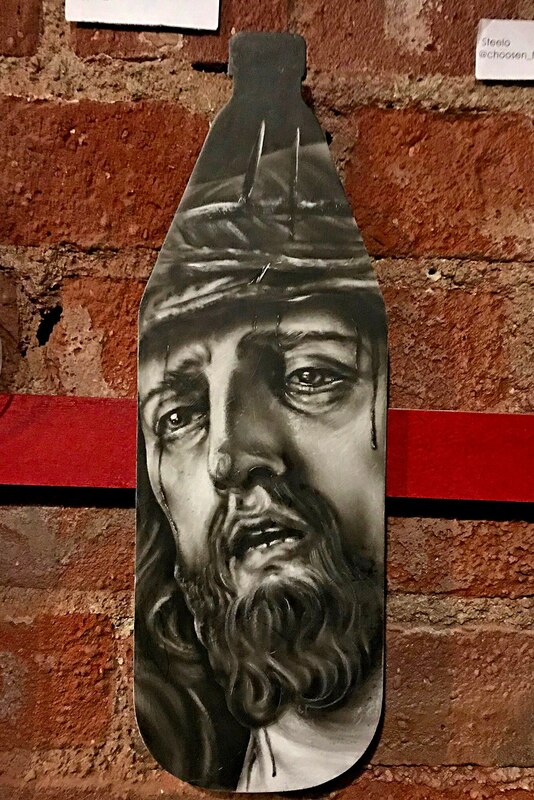 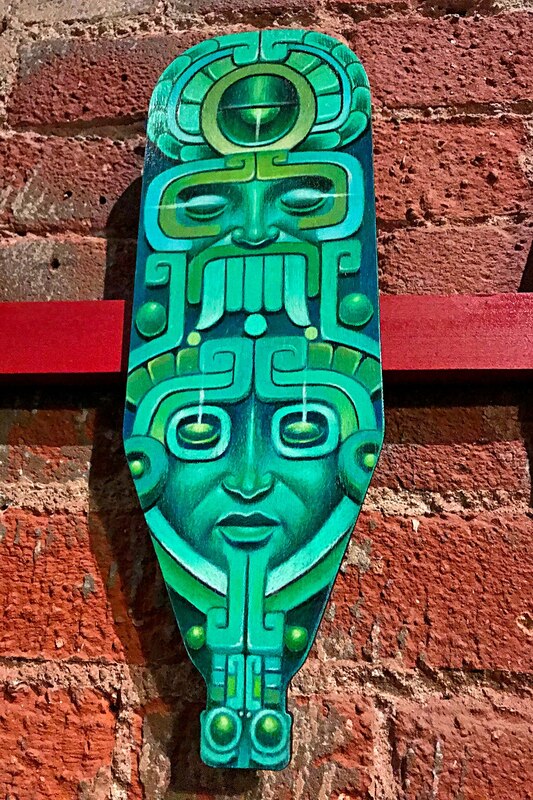 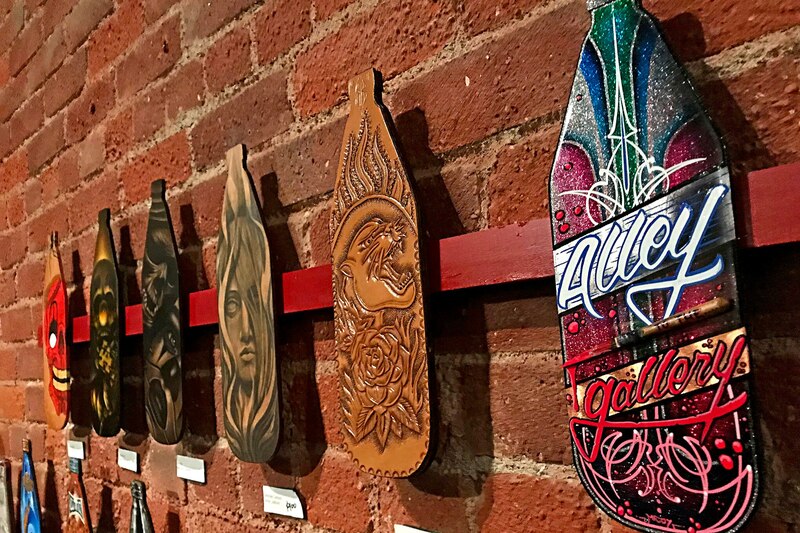 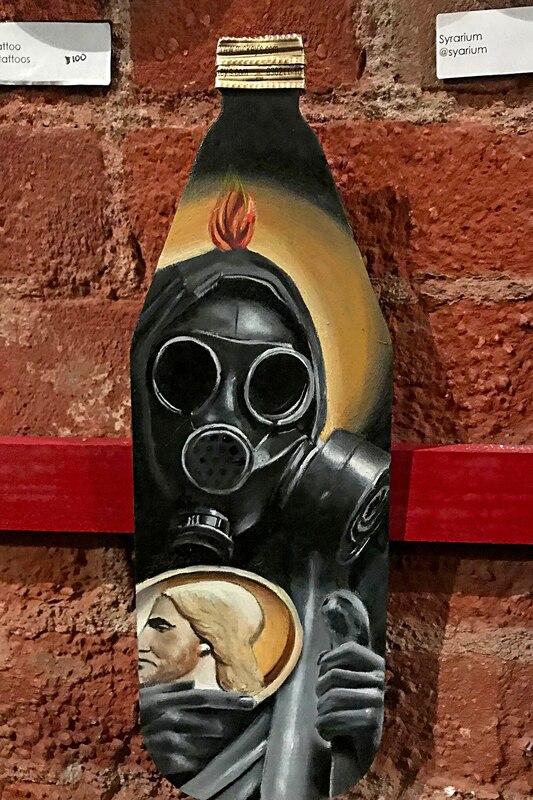 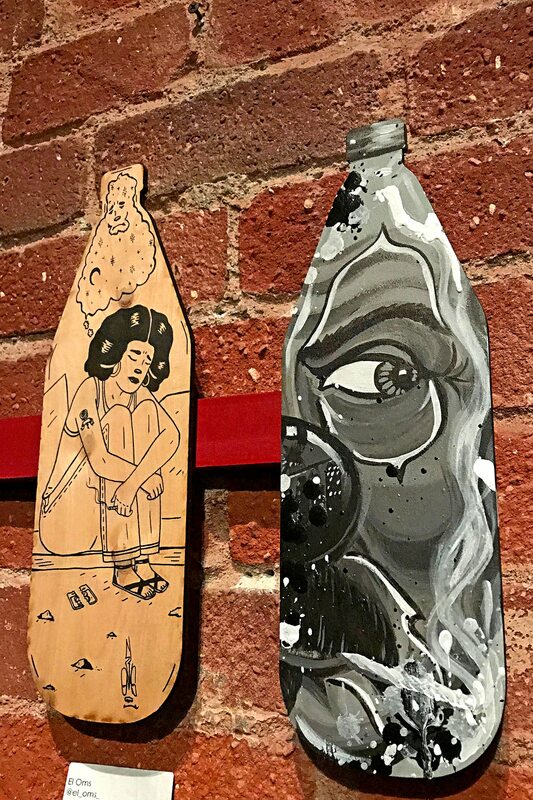 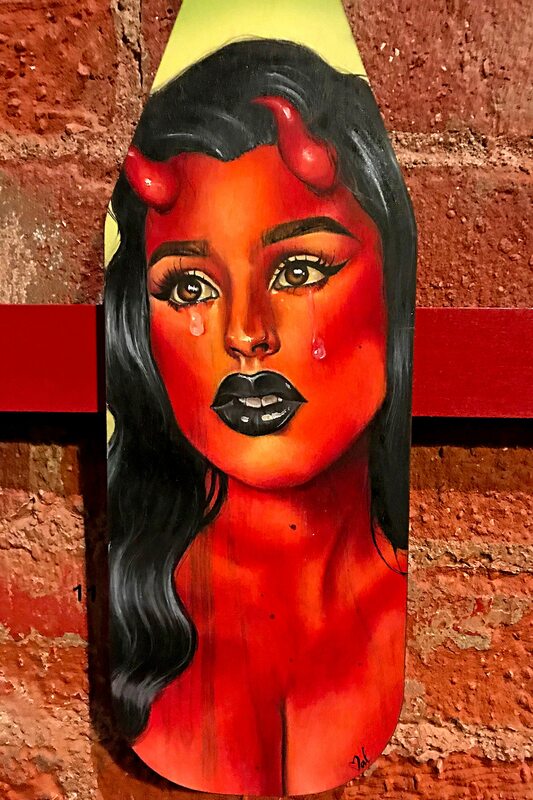 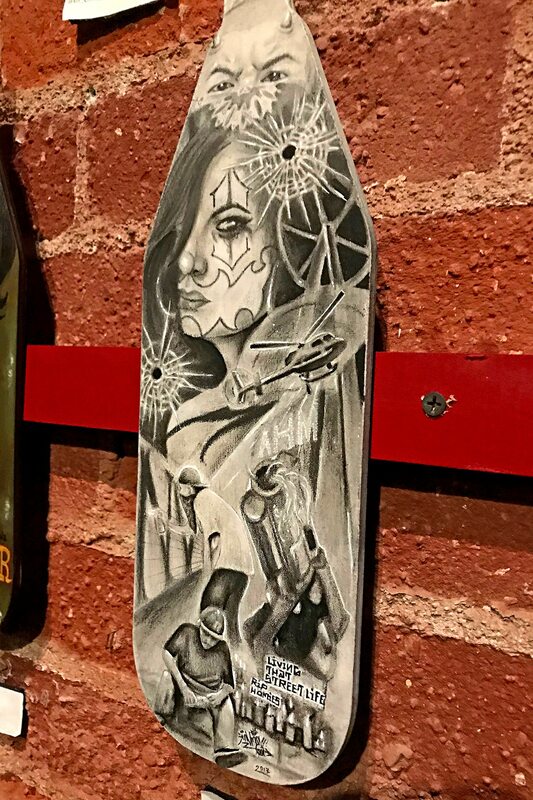 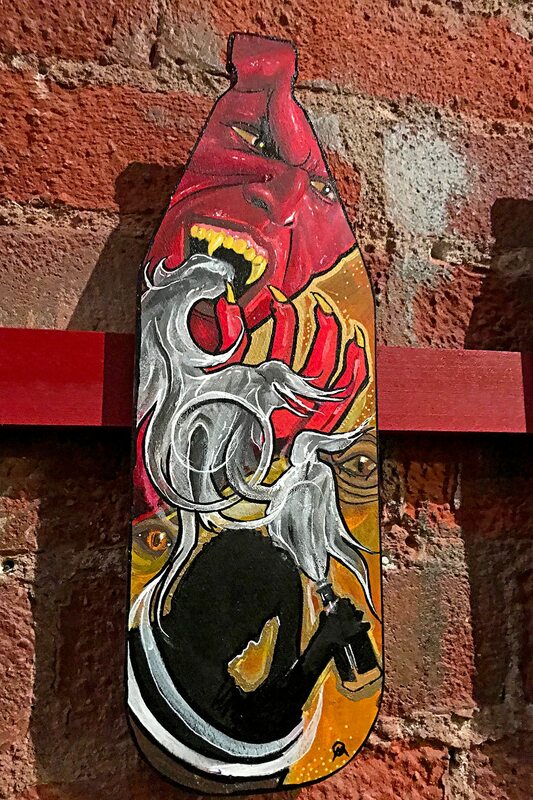 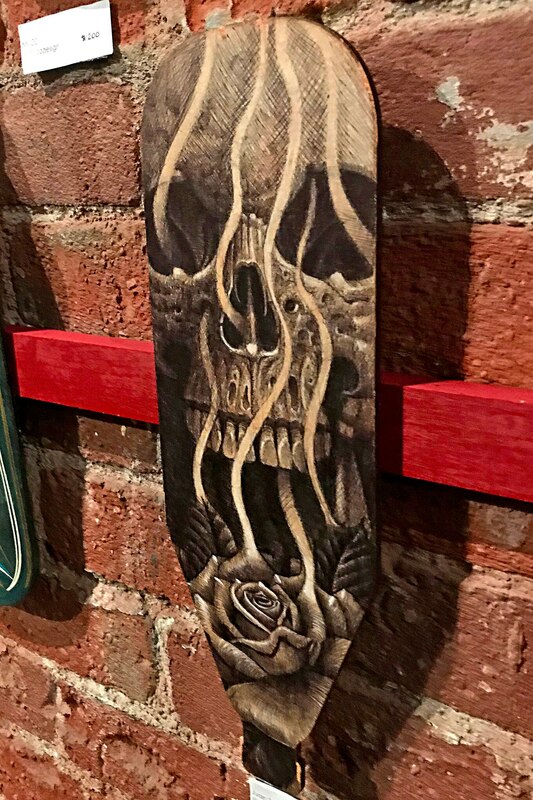 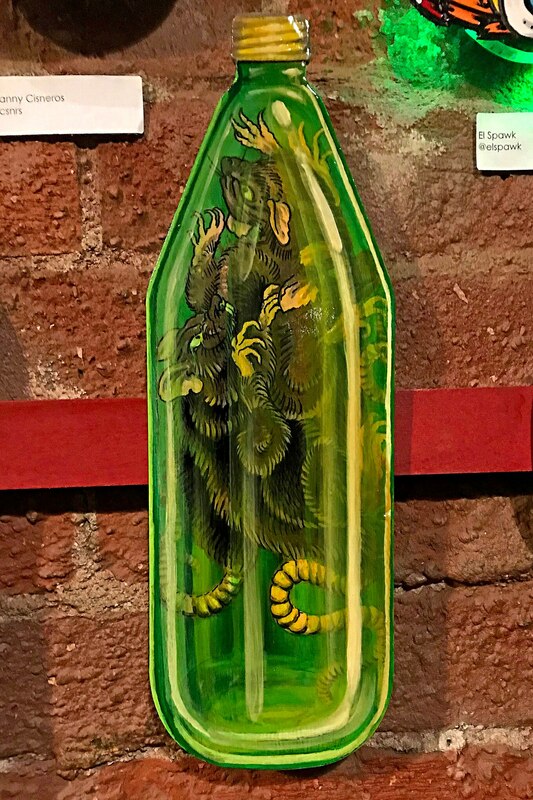 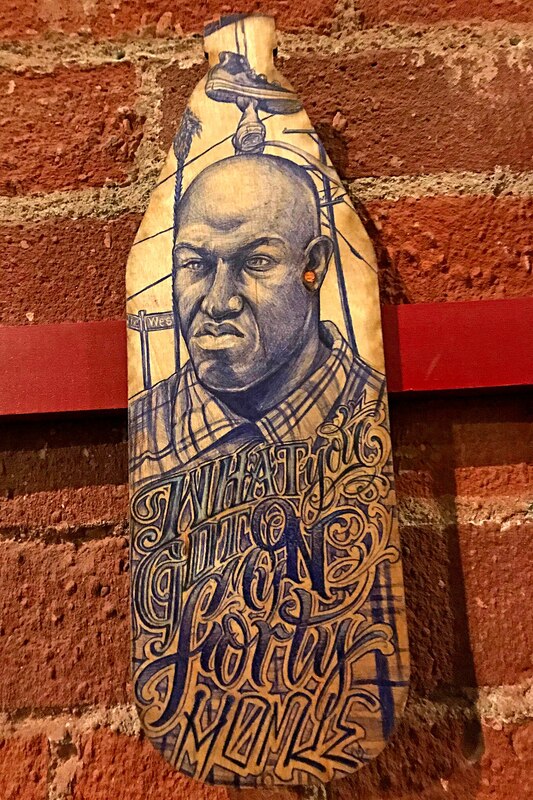 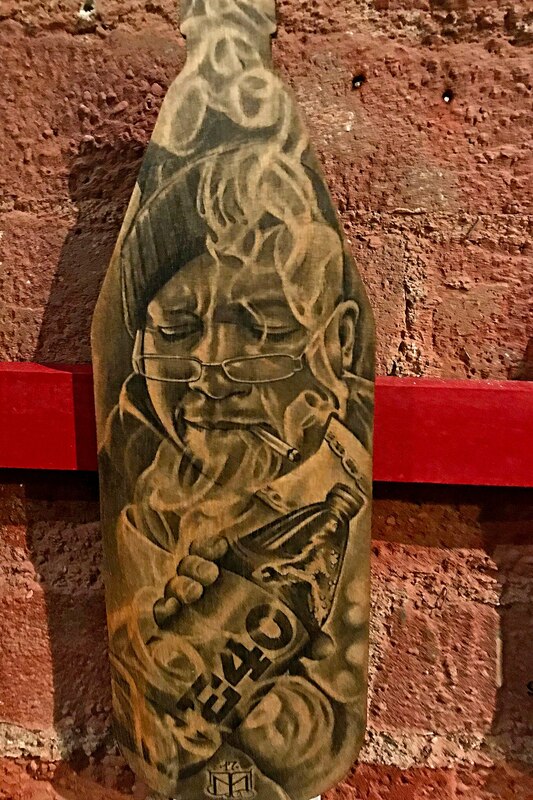 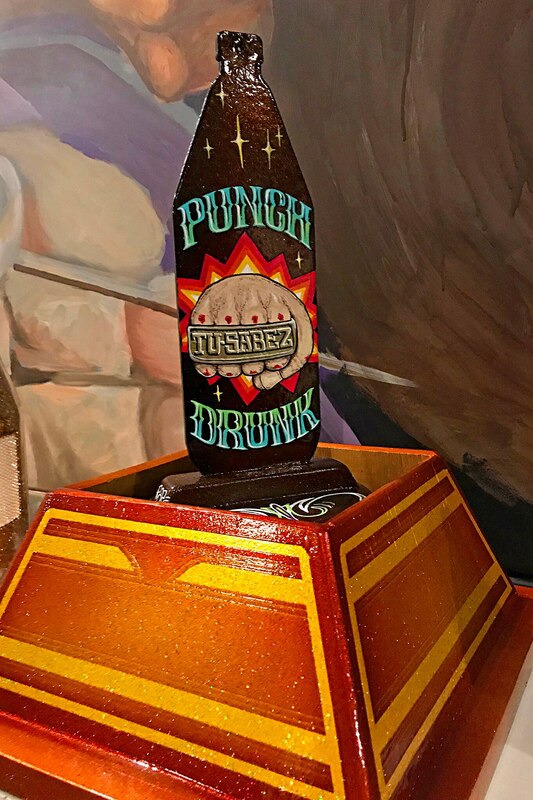 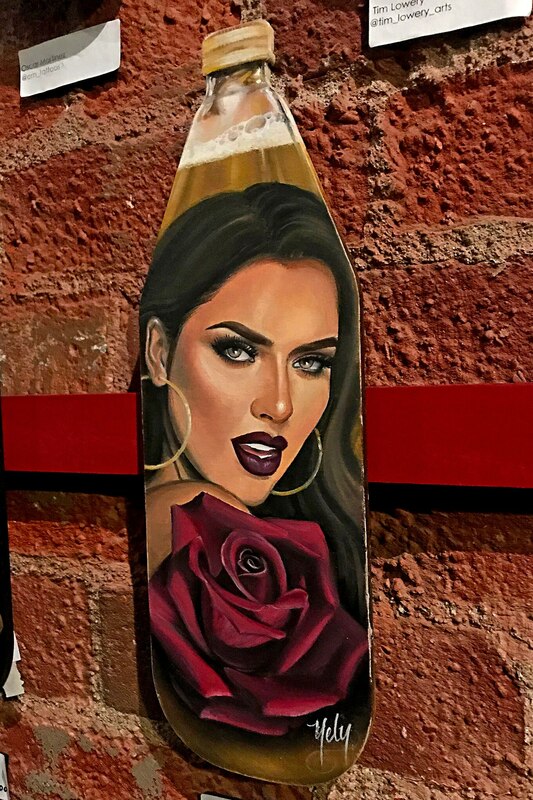 The show took place at Smoking Mirrors Gallery in Pomona, CA and it featured a 40oz shape wood cutout theme. 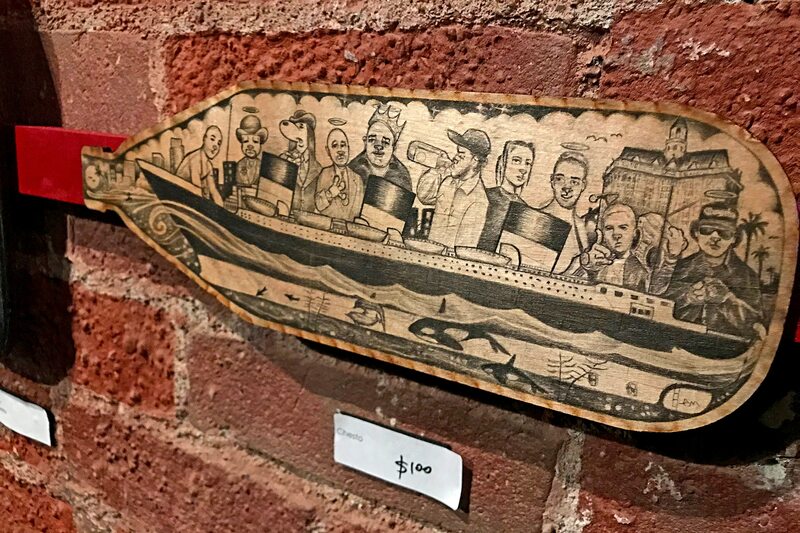 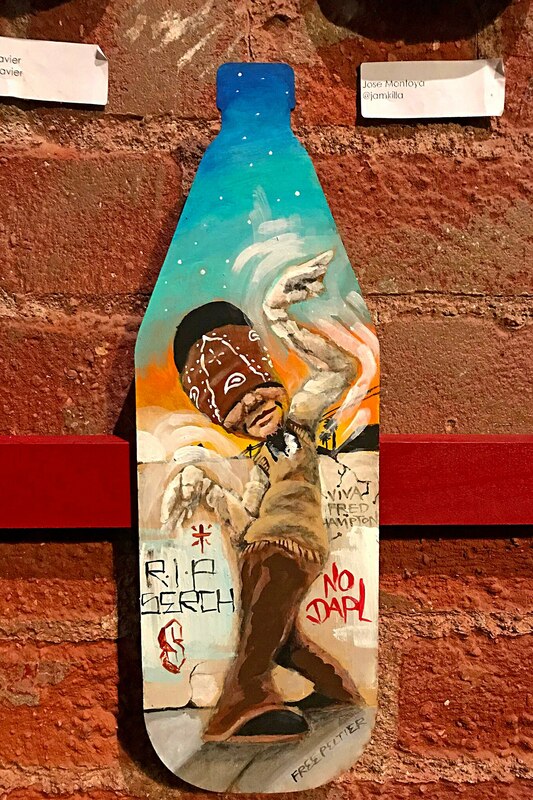 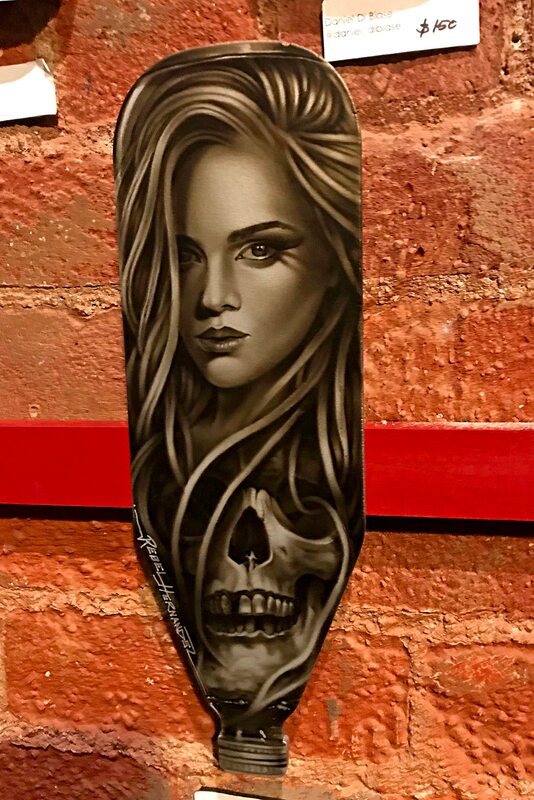 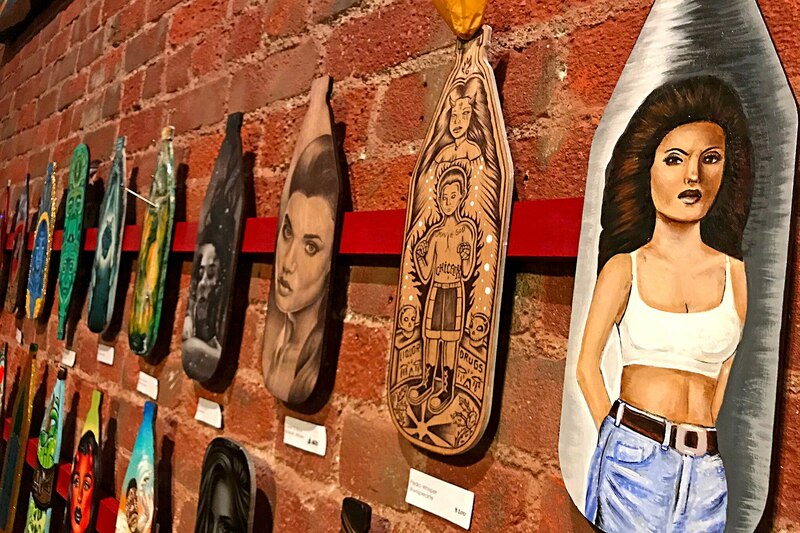 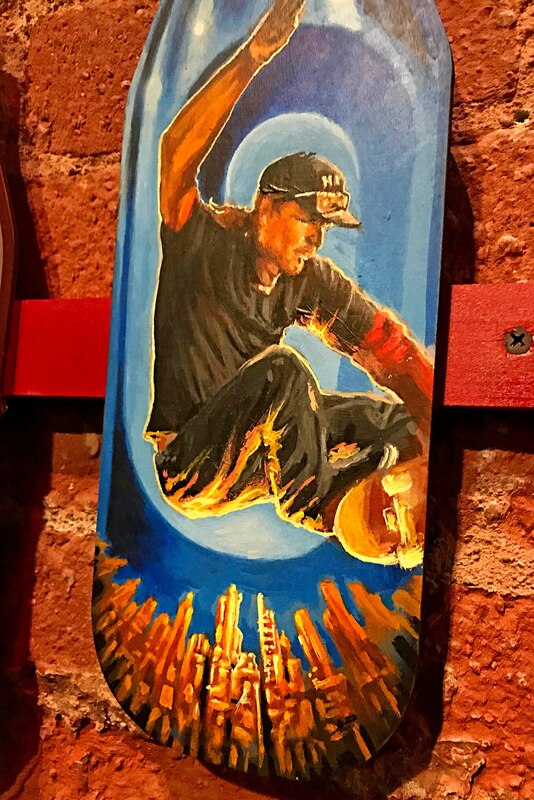 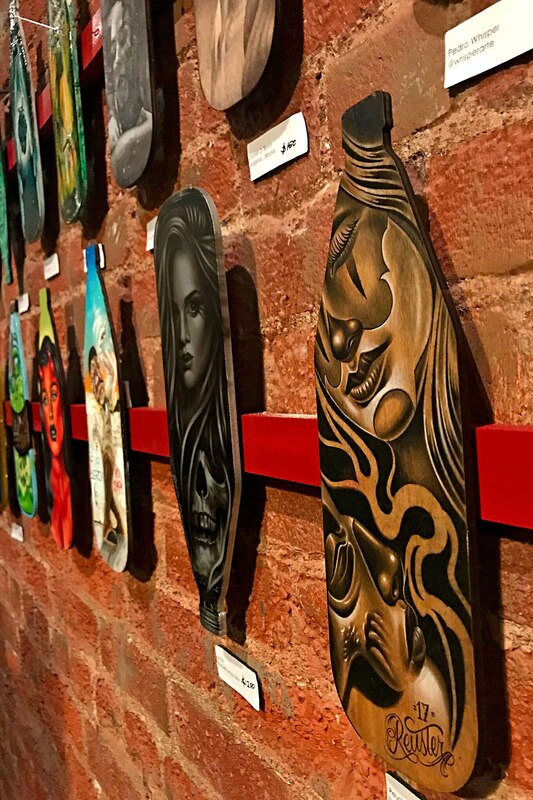 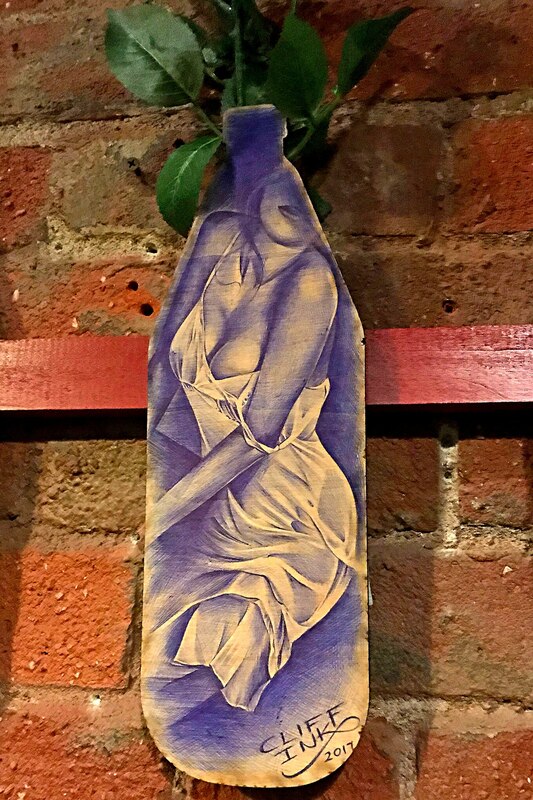 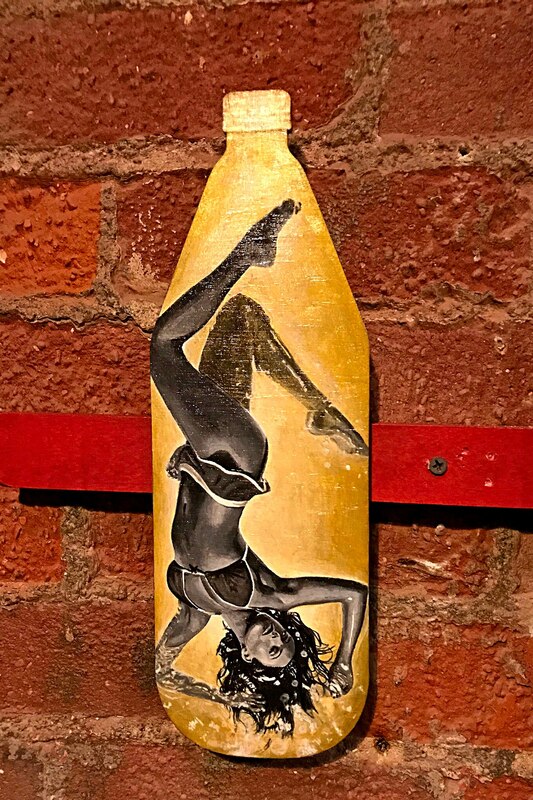 Over 100 artists with various backgrounds were handed the wood cutouts as their canvas and were given creative freedom over them. 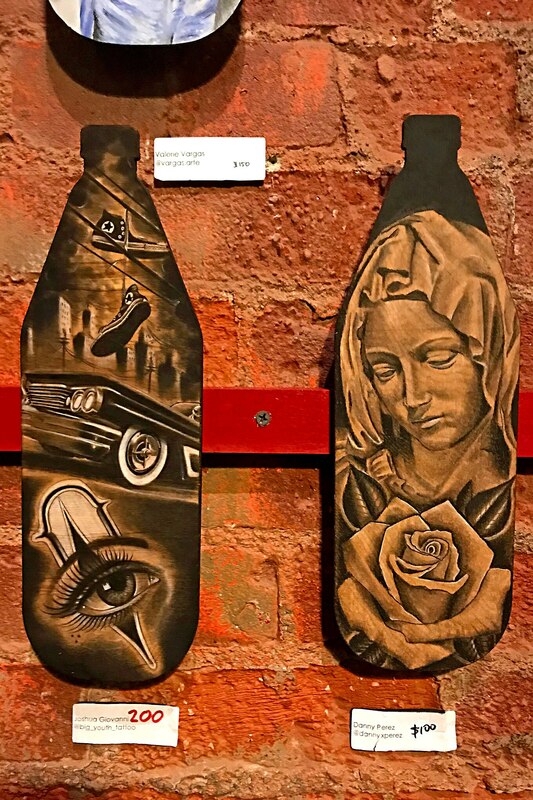 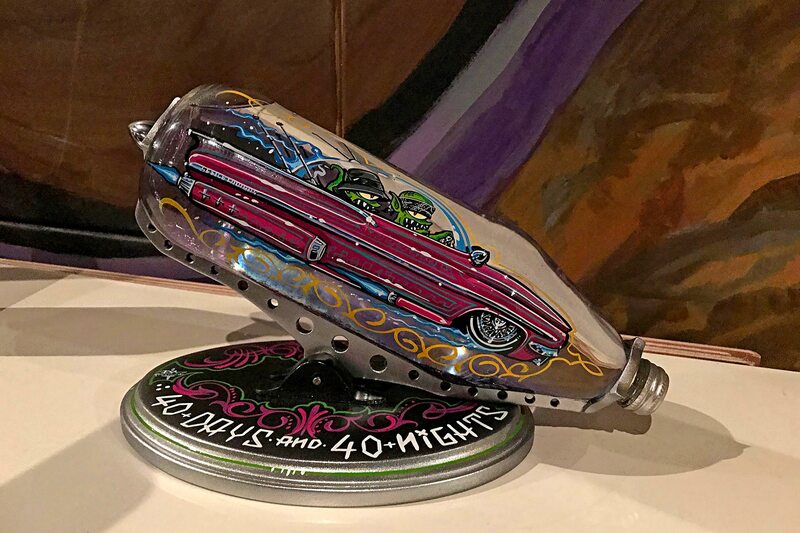 The show attracted 100’s of spectators who took in the artwork as well as the music, food and cars at the event.